Synopsis: Tired of arguing over which of them was the best gamer, josh and alex stumbled upon a new video game shop, run by an enigmatic Japanese shopkeeper. 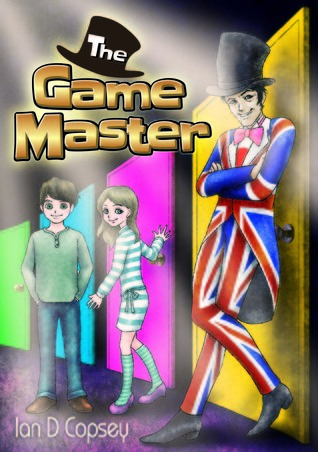 He was to be their game master in this virtual reality video game that had no game controls. Little did they know it was a game that would change their lives of their friends and enemies forever. Oh! this game is no ordinary game, the game master explained, it reads your thoughts, seeks out your weaknesses to provide you with challenges. It can read our minds? puzzled the boys . As they progressed through the game's levels they discovered more about those around them. Then, mysteriously, the game of life began to spread its influence beyond josh and Alex's lives and to their friends. 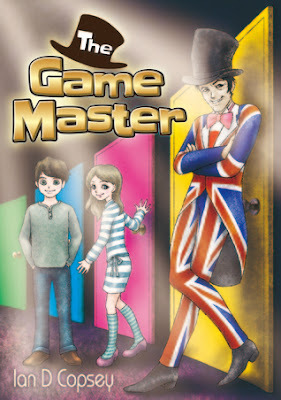 from switching roles with each others, campfire frolics and ghostly stories from their teacher's, the game masters zany antics as he hosted a t.v game show, hiro's happy heroes, released a string of rib ticking gags, teases and tantalizing tattles. This book show how enemies can work together instead of fighting with each other. Review: This book was kindly sent to me for an honest review and the author is really nice. I love this book and the story and l like how some of the youngest help all the shopping falls out of their bags. This was book was real easy to get into and l would read this book again it's a really good story and it's a must have on your book shelf and l am glad l have it on my book shelf, it is good to step outside your comfort zone with genre's and author's and it is good to read because this book takes you away it is nice to read and this book is great and l would love to read more about josh and alex and the game master and l would love to hear more from Ian d copsey and l highly recommend this book to anybody and l like how boys and girls ended up working together. I want to say thank you to the author for sending me his book. I would love to read more from this author.